Project Darkroom started as a piece for Art in Odd Places Tone, the show took place in Orlando in 2015. We created a portable darkroom inside of a POD shipping container. Over the course of four days we invited the public to use our darkroom to process film and make silver prints. The goal of the project was to educate the public about analog film and provide a way for people who had never used a darkroom before to experience the process. 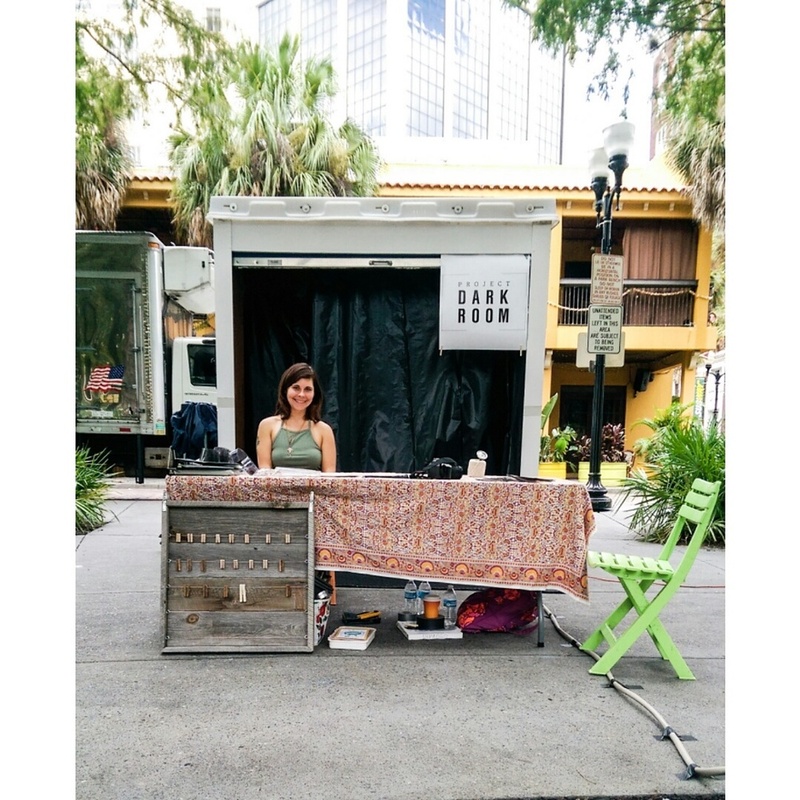 We went on to exhibit Project Darkroom at the 2015 Creative City Project also held in Orlando, FL. We are currently seeking nonprofit status to transition Project Darkroom into a permanent community space.